To say that complex data analyses are ubiquitous in the education and social sciences might be an understatement. Funding agencies and peer-review journals alike require that researchers use the most appropriate models and methods for explaining phenomena. Univariate and multivariate data structures often require the application of more rigorous methods than basic correlational or analysis of variance models. Additionally, though a vast set of resources may exist on how to run analysis, difficulties may be encountered when explicit direction is not provided as to how one should run a model and interpret results. 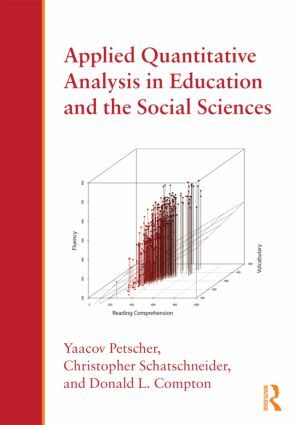 The mission of this book is to expose the reader to advanced quantitative methods as it pertains to individual level analysis, multilevel analysis, item-level analysis, and covariance structure analysis. Each chapter is self-contained and follows a common format so that readers can run the analysis and correctly interpret the output for reporting. I Am ROC Curves (and So Can You)!